Today, as we wait with snow steadily falling and planters ready to go to the field, I am fielding calls about when, and if, a farmer should change his intended corn maturity. My recommendation is, and always has been, to stay the course on hybrids that are best suited for our area, up until the 15th-20th of May. Here’s why. I have always believed that planting 103-105 day hybrids in the Beadle County area was the best management choice for high yields year after year. In the 2017 Research Summary from Pioneer, an article by research agronomists explains WHY my long held beliefs are true. It seems that high yielding corn likes warm days and cool nights to reach fullest yield potential. When shorter day hybrids are planted, the window of grain fill in the fall is narrowed. 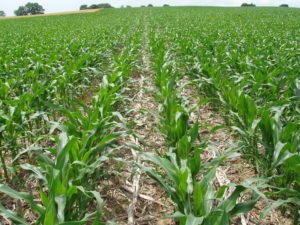 When shorter day maturities are planted earlier in the spring, the critical grain fill period for corn is moved to mid-August through mid-September, when nights still remain warm. The high yielding corn of today contains much of the genetic heritage of corn plants that originally grew in the high plains of Mexico, where days are warm and nights are cool. Planting the longer day corn varieties in our area delays the maturity of the plant until September and early October when we get the cooling effect of fall nights. 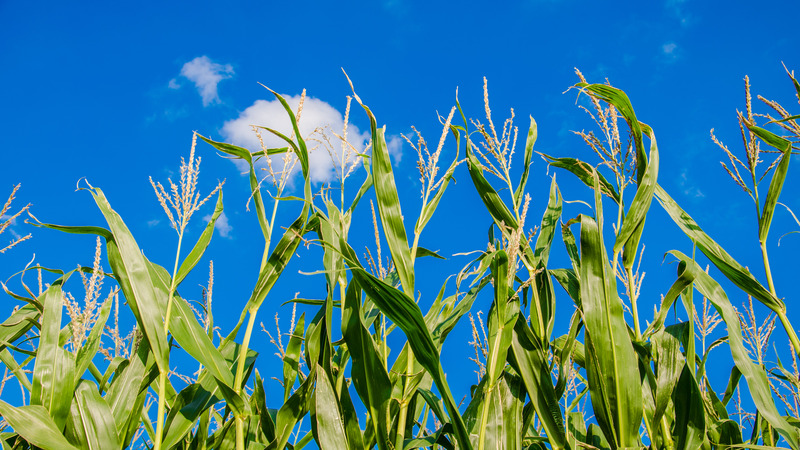 When corn grows all day long there is a buildup of stored energy (sugar) in the plant. Think of a corn plant as we would the gas tank in our car. When the “tank” is full, more sugars are being produced and that produced energy must go someplace. 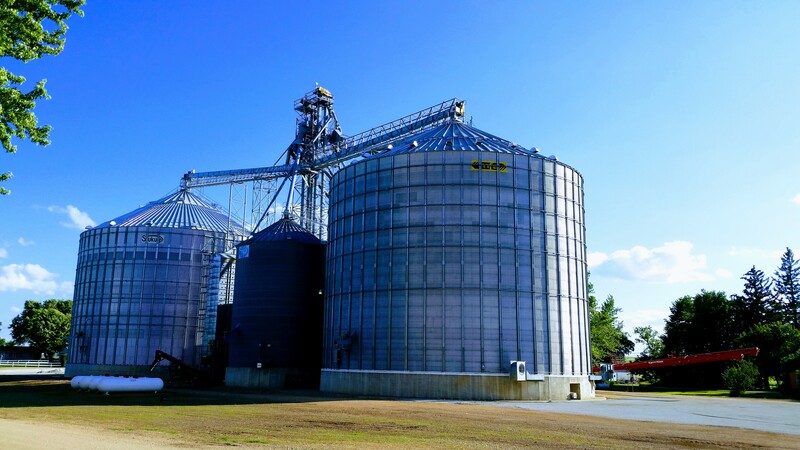 A full corn “tank“ turns excess sugars into starch in the kernels. The more starches built into the reserve, the higher the yield. 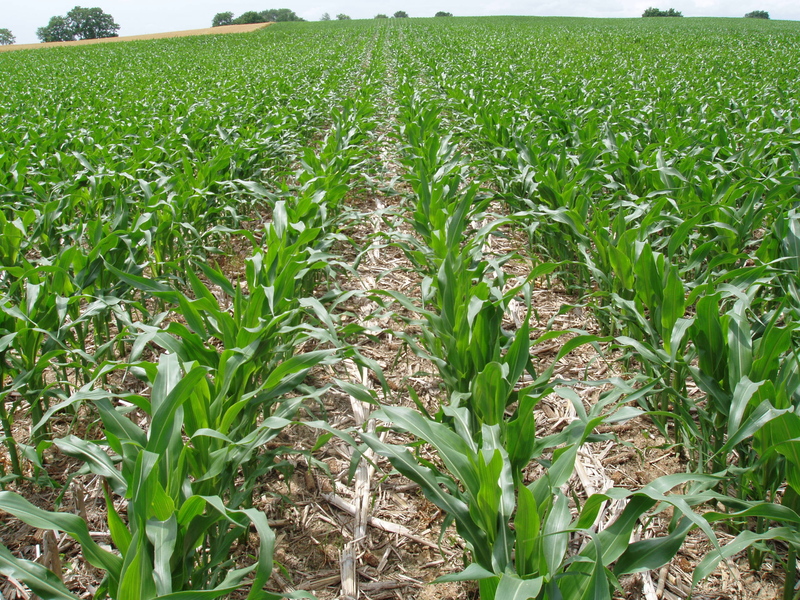 Therefore, warm sunny days encourage the most production from the corn plant. Corn is a living plant that also lives at night. When nights are warm, the corn plant must use some of the energy that it produced the day before to respirate. The higher the nighttime respiration the more energy it consumes that it held to build starches. On a cool night, the plant respiration slows so that it doesn’t use as much of its stored energy. Thinking again of a corn plant as a full “gas” tank, if I park my car at night and don’t drive my tank is still full the next morning (cool night, 50 degrees). If I let my car idle all night long, the tank is a little less full, but not significantly so (cool night, 65 degrees). If I drive my car all night, (warm night 80 degrees) I will need to refill before I can start my normal routine. Planting 103-105 day hybrids allow us to capitalize on the ideal high-yield weather that generally occurs, in our area, the last week of August thru the first week of October. That is, of course, unless we get an early frost! On a recent trip Louise and I were delayed 4 hours from departure from Joe Foss field, in Sioux Falls. We spent 2 hours on the plane and then 2 hours off the plane, while we waited for the elusive de-icer to appear. Consequently, we missed our connection and spent a short night in a Dallas, Texas hotel before making another connection and then our final destination, twenty-four hours late. Accept the things that you cannot change……. and make the best of it. 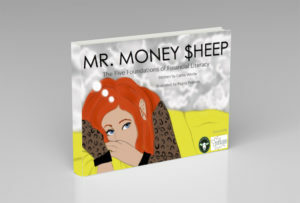 When you can control the outcome get busy and protect your interests. New friends and great relationships can be made while solving problems together. In hindsight we realized that we got acquainted with great people that we wouldn’t have gotten to know as well under normal circumstances. We look forward to meeting them again. 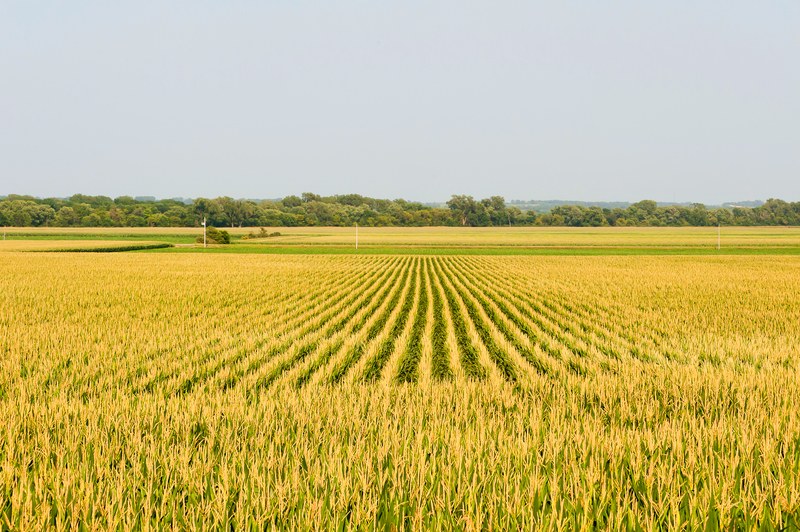 How do I apply my highlighted lessons to the importance of crop insurance? March 15th is the Sales Closing Date for Crop Insurance Coverage for the 2018 growing season. 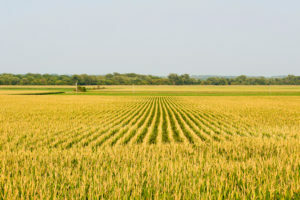 Crop Insurance is our “First-World” opportunity to protect our yields and our revenue. Take advantage of your many options and products available to best insure your crops. Weather: We haven’t figured out how to control it….yet. Best option? Accept it and insure against it. 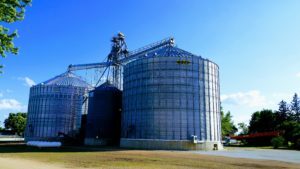 Crop Insurance can be a grower’s tool to manage risk and insure profits in a very risky line of work considering today’s environment of low commodity prices. A good relationship with a knowledgeable, well trained, crop insurance agent, who understands crop and livestock production, and has a good understanding of your operation and your goals, is critical. Working with your agent determining your farms best cropping strategy is an important step in realizing your profit potential. Your coverage should be tailored to your needs and your agent should be available to you when you need him or her. Your relationship with your crop insurance agent is important and a good relationship will allow for a great problem solving team. Louise and I, and our staff, have been in the crop insurance business for more than a few years now and don’t plan on stopping anytime soon. We’ve made ourselves available to you beyond the office and appreciate the relationships we have made with many of you and look forward to getting acquainted with more of you. Each one of us has established ourselves in this area with our own farming operations. 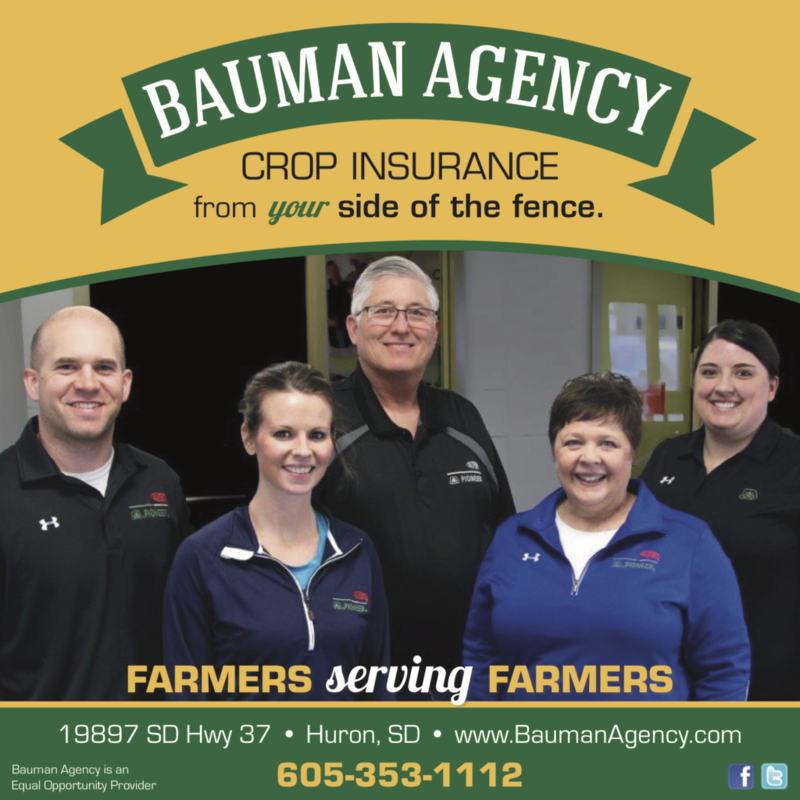 At Bauman Agency we are here to stay and we truly do see crop insurance from your side of the fence. All of us welcome the opportunity to work together, with you, to insure your success. 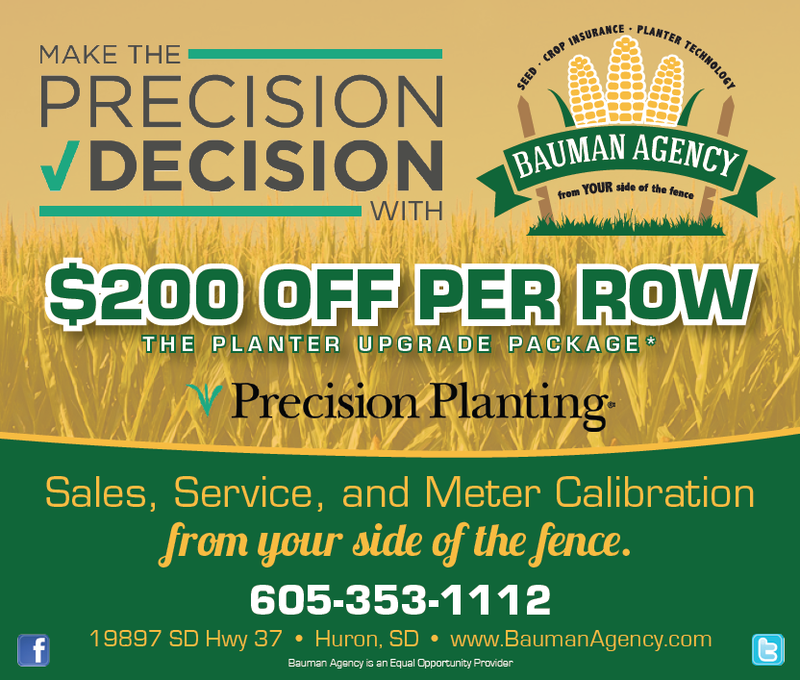 Bauman Agency is your home for Precision Planting sales and service! We know that even though there’s snow on the ground and the winds are blowing, the 2018 planting season is just around the corner. 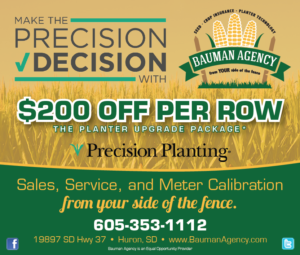 From today through Friday, March 2nd, bring your meters in to Bauman Agency and we’ll calibrate your meters for only $25 per row. Want to know more about how to get the most out of your equipment? Join us on March 28th for a special hands-on training day. We can’t wait to see you! 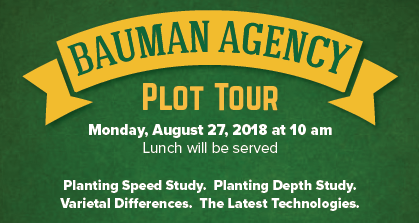 After all, we’re Bauman Agency, and we see seed, crop insurance, and planter technology…from your side of the fence.